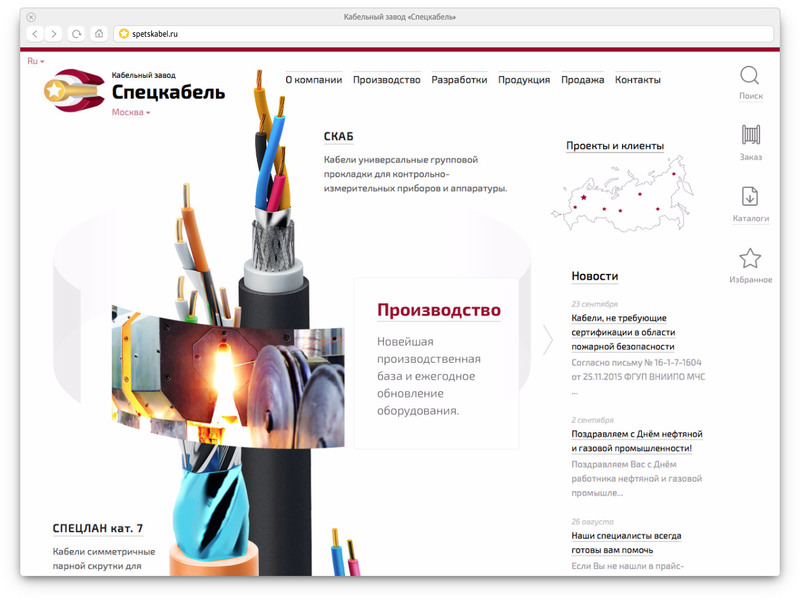 to create a website for a cable plant. 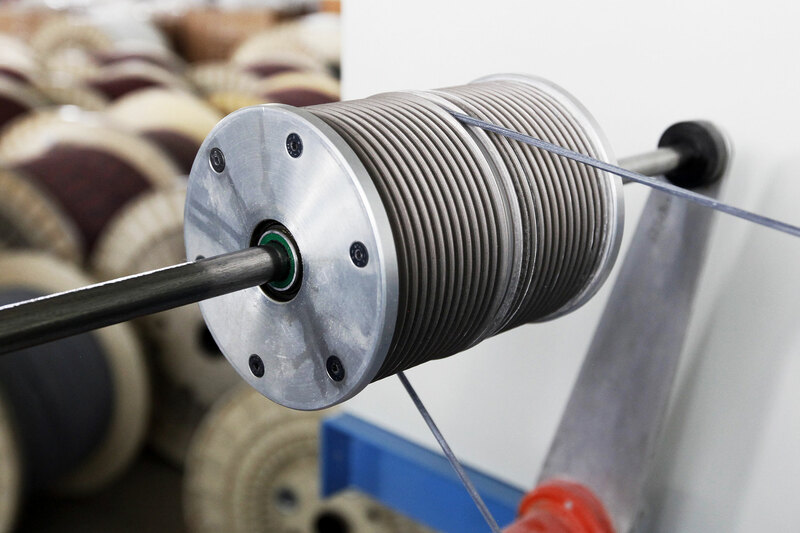 Over the past twenty years Spetskabel has developed and started mass production of over six thousand types of cables. 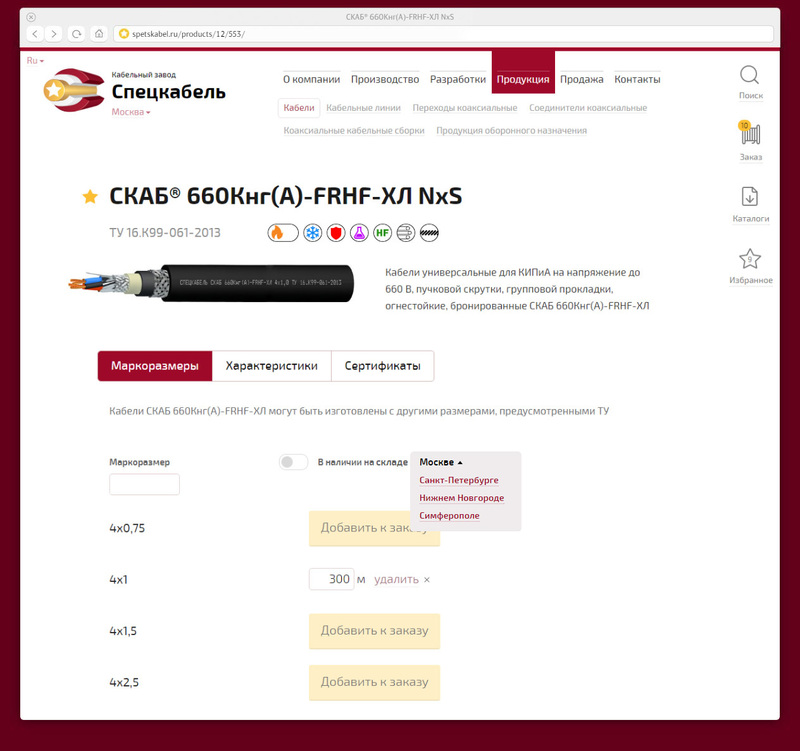 The company’s new website allows to easily navigate the variety of products, explore their features and order them in an online store. It also contains essential information about the company and its position on the market. 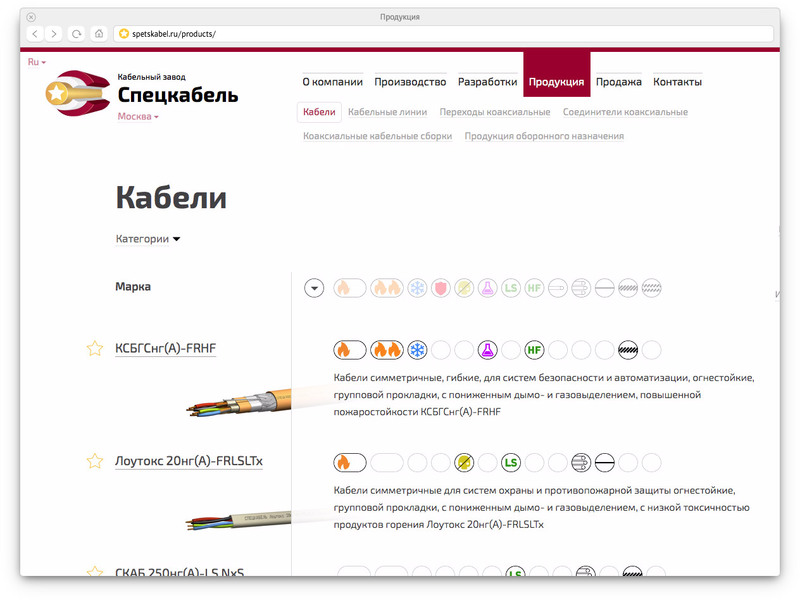 The most popular cable types were carefully drawn for the website. A variety of filters by key properties and application areas makes working with the catalog easy and efficient. 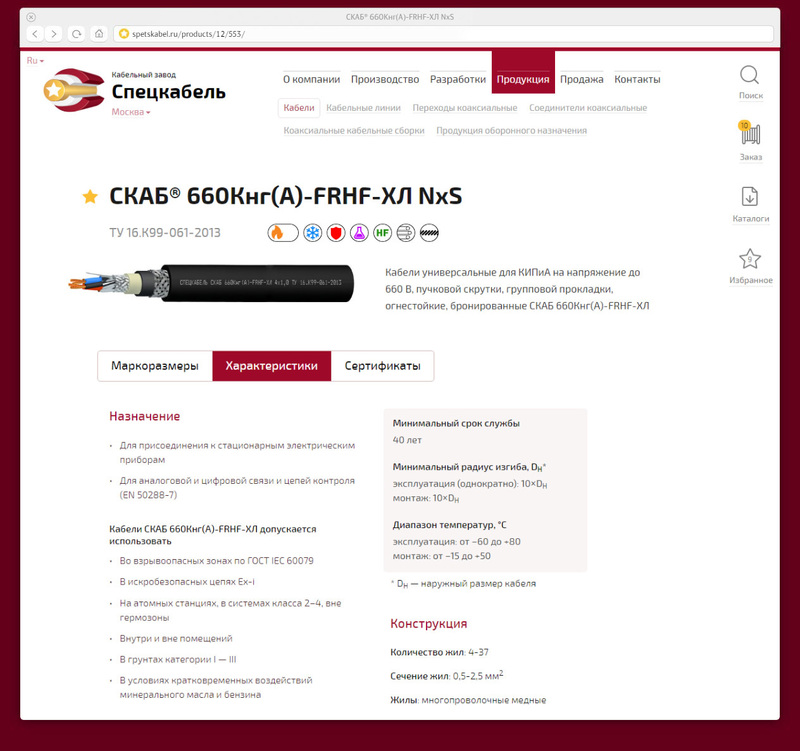 Each product page contains all technical specifications and allows to save any cable for a future order. 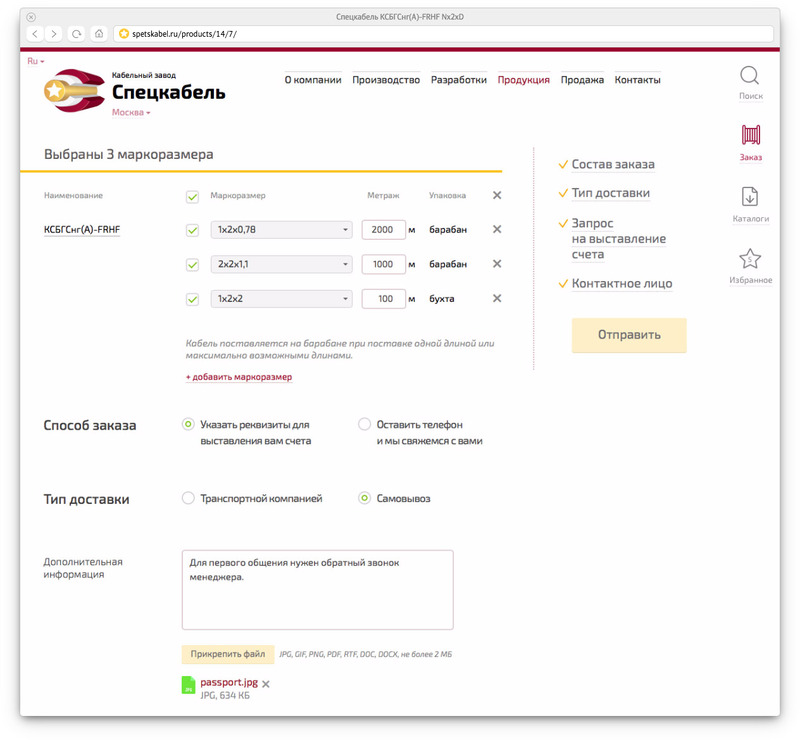 To make communication with the company’s sales department easier, a special section was created where clients can provide information about the order they would like to place.